Carpets are a great addition to any home. They can function as a décor to complement the interiors of any room. They provide comfort, warmth and safety from slips, especially for little kids. They are also a great sound absorber that enhances the acoustics of any room. However, carpets also absorb a lot of dirt. 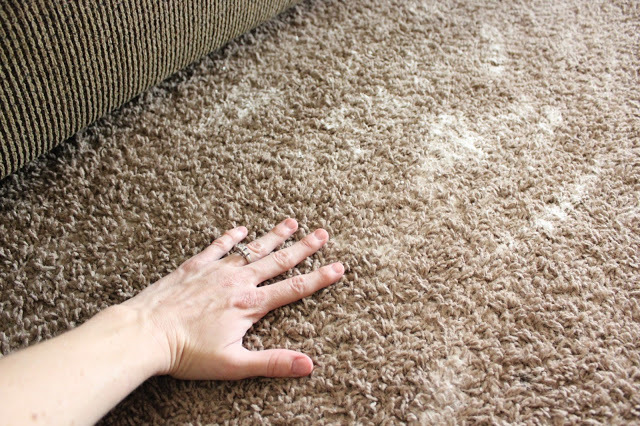 Dust, pet hair, food crumbs, spilled liquid and humidity are the usual culprits in making carpets dirty and grimy. These usually result to molds, bacteria, and of course, bad and nasty odors. Using a deodorizer for your carpet can help you address the issue of sanitation and smell. First, you need to clean big pieces and chunks of dirt and litter from your carpet. Next, vacuum the carpet to remove dust, pet hair and small particles. After cleaning your carpet, you are now ready to deodorize your carpet. Here are some deodorizers that you can use to restore the fresh and clean scent of your carpet. Baking soda is a great deodorizer. It cleans, absorbs moisture and neutralizes the smell of any surface. You can use baking soda alone to deodorize your carpet. Sprinkle a generous amount on your carpet and leave overnight. Vacuum your carpet afterwards. If you want aroma or scents with your deodorizer, you can mix baking soda with essential oils or cinnamon. You might think that vinegars will leave a strong odor on your carpet. This is a common misconception because vinegar loses its smell when it dries up on any surface. Not only is it a great disinfectant, it is also a great deodorizer. Put vinegar on a spray bottle, spray generously on your carpet and leave to dry. Hydrogen peroxide is a non-toxic, inexpensive and effective sanitizer and carpet cleaner. When mixed with the acidity of lemon juice, it becomes extra effective. Also, the fruity lemon smell can also act as a deodorizer. Mix hydrogen peroxide with lemon juice and water then spray on your carpet. Borax or sodium borate is one of the most effective household cleaners and deodorizers. Use borax with salt and vinegar to make a paste and then apply on your carpet. Press the paste down until the carpet absorbs it then leave overnight. Vacuum the carpet to remove the solution. To ensure the cleanliness and maintenance of your carpet, rely on the services of professional carpet cleaners. Professional carpet cleaners can help banish your carpet problems efficiently and cost-effectively. Written by Eric Sappington, owner of Sappington’s Carpet Care, the leading company for carpet cleaning in Columbia, MO. Clean Your Home Naturally – 6 Recipes You’ll Love!